Pour 1 cup of rose water into an amber, spray (fine mist) spray bottle. After a shower this spray is heaven on your skin too, since it instantly restores pH levels. ROSE WATER & ALOE VERA JUICE will be the major skin soothers in this mix. Combining both their cooling and healing properties is the goal here. This DIY Healing Spray is safe on all skin types, extremely hydrating, and most important- helps heal skin. The jojoba oil will serve to keep your skin soft and moisturized (minus clogging pores! )- that extra layer of goodness your skin will thank you for. 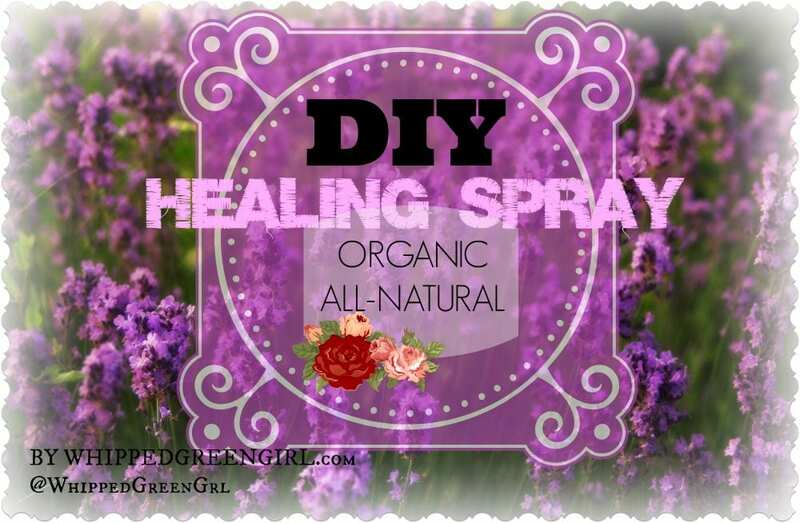 Lavender essential oil is the final piece to this DIY Healing Spray. Long known for its many benefits on skin- lavender is great on burns, rashes, dry/oily skin, acne, and so many other pesky skin ailments. Thanks for sharing this recipe. Definitely worth the try. I definitely want to make some to have around the house! Sounds like it smells and feels lovely. I am certain this essential oil healing spray is effective. I cannot wait to try it!! We use oils in our home already and we enjoy the many benefits. Sounds awesome . Would love to try it . Thanks for the recipe . I really loved the article on DIY Healing Spray, really easy to make & quick !! I will be making this spray when I have all the ingredients. Want to try it on my face to see if it will help my scar which I got using Effulux for the six week treatment recommended by a Dr for pre sun lessions.